The Cheriton free standing electric fire, true to its naming, is capable of standing fully on its own. 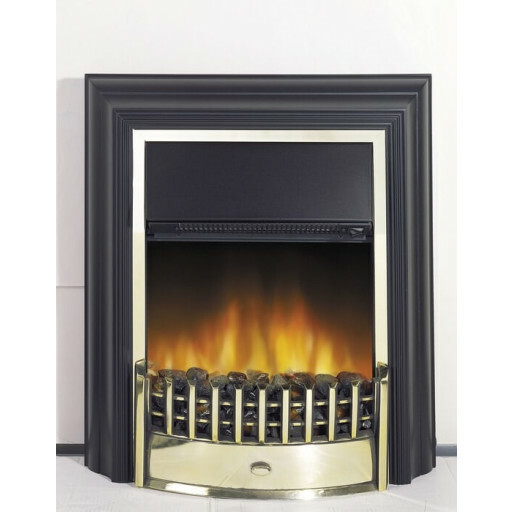 It's manufactured by the prominent brand Dimplex. It's known by many for its Optiflame properties. It has coals that are 100 percent authentic as well. It was made specifically to accommodate flat wall applications in residential spaces. Inset depth isn't at all necessary for the Cheriton free standing electric fire. Its effect finish is a stunning combination of brass and black and as a result can blend in effortlessly in all kinds of home layouts. The fire consists of materials that are durable and modern as can be, too. It has a fan heater that produces 2kW of heat. People who use the heater can pick between two distinct settings for heat levels. The electric fire can be employed in conjunction with accessories for hearth pads. HPD002 and HPD001 types are accessible. Users can employ flames without heat if they desire. The fire's LED (Light-Emitting Diode) flames can be utilised for a total of about 50,000 hours. The flames that are part of this Cheriton electric fire do not call for significant energy intake at all. These flames call for energy intake of merely 14 watts. The product is 639 mm by 682 mm by 194 mm in size. It offers user’s manual controls as well. Cheap and cheerful fire for my rental property. Just the job.